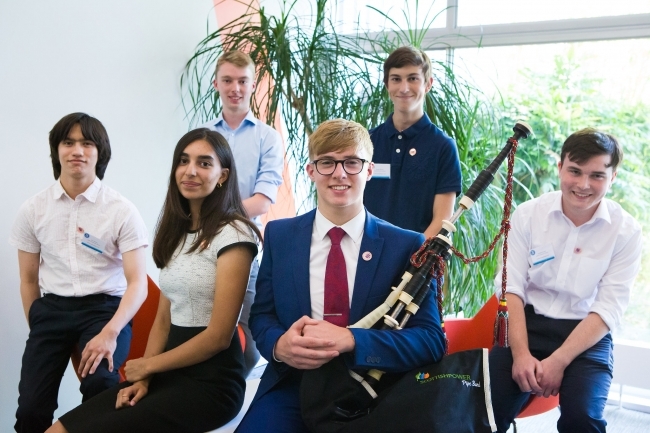 The TDI Challenge final took place on Wednesday 4th July at, Manufacturing Technologies Association (MTA) member company, Yamakazi Mazak’s European headquarters in Worcester. This year saw an increased number of entries from across the UK, with a select few invited to Mazak to contest the final. 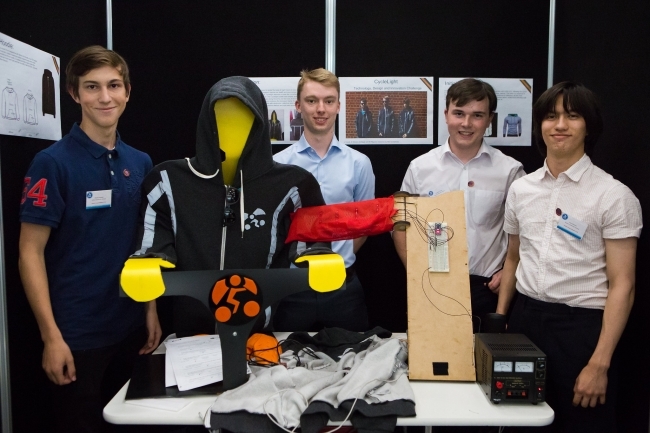 Hundreds of students from across the UK submitted either their GCSE, A-Level or BTEC Design and Technology Course Work Projects to be judged by a panel of experts drawn from Industry. The TDI Challenge is split into three categories. There are two individual age groups; 14-16 and 17-19, with six finalists in each and for the second year there was a third category for group projects with three teams competing. 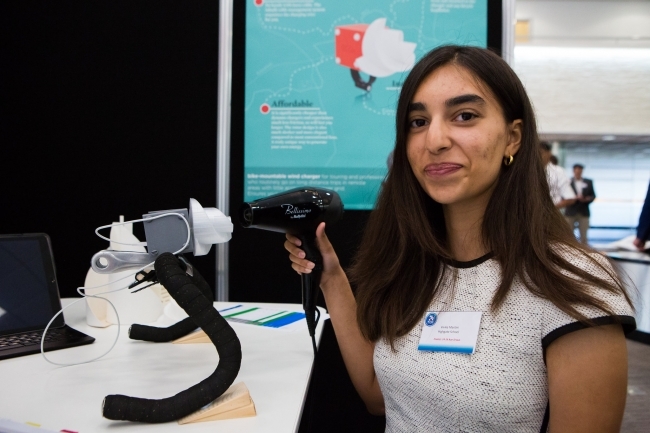 The winner in the 14-16 category was Vivika Martini from Highgate School with her Bike-mountable Wind-Powered Charger, which was aimed at long distance cyclists who need access to keep their phones charged while in remote areas. Second in 14-16 category went to Shrey Shah also from Highgate School in North London with his Smartphone-controlled Internet of Things Pet Feeder. And third place went to Daniel Martin of Whitgift School for his Bike Storage Device. 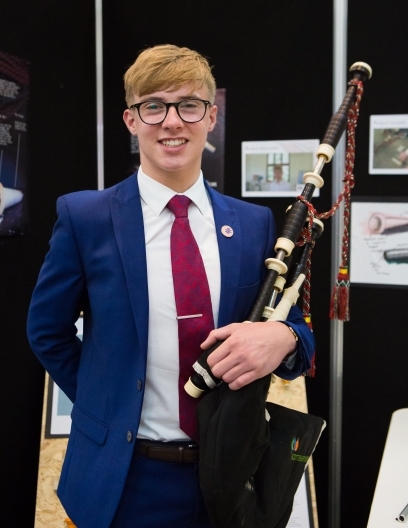 The winner in the 17-19 age category was Robbie MacIsaac of Strathallan School in Perth Scotland, his FLUX Blowpipe design, reduced the amount of moisture that gathers in a Bagpipes, Blowpipe when performing. Robbie said of winning the competition “It is class, I am absolutely buzzing after traveling seven and a half hours to get here it was definitely worth it. Just through all the people I have met and all these contacts I have made. I’m really looking forward to working with the people that I have met. Aashi Srivastava from Henrietta Barnett School took second place with her Attachable Support Unit for Primary School Chairs which was aimed at improving the comfort of children suffering from Cerebral palsy in the class room. Third place in the 17-19 category went to Harry Bolton of Keswick School with his Off-road Running Shoe. The TDI Challenge 2018 is sponsored by Close Brothers Asset Finance who provided the prizes for the event. Individual prizes picked up on the day included an iPad, GoPro, UE Boom Speaker and a drone. In addition to prizes on offer for the students placing in the top three in each category, the winning school in each category will also receive £2000 of credit to spend with Technology Supplies Limited (Design, Technology & Engineering specialists for education worldwide) on D&T equipment for the classroom. Runner-up prizes of £1000 and £500 are also available for schools in each category.